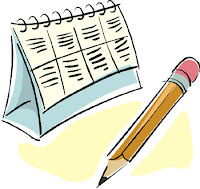 It's time again to mark your calendars and Make Your Reservations for May! Here are a few of the romances we are looking forward to next month. Are any of these upcoming books on your list? If so, which ones? If not, which books are on your list? “Find her” is the only instruction that private detective Cobb Bridger receives from Richard Mackey. The scion of a wealthy Chicago family, Mackey is desperate to know the whereabouts of the woman who disappeared from his employ, taking with her something of great value. Intrigued as much by what Mackey won’t say about the missing item as he is by Mackey’s description of the missing woman, Cobb accepts the assignment. Bitter Springs, Wyoming, has a new schoolteacher who may or may not be exactly what she seems. Upon making the acquaintance of Miss Tru Morrow, Cobb begins to question the guilt of this golden-haired lady—and the protective feelings she stirs in him. His investigation hinges on understanding where the truth lies. Can he believe in Tru? Or is she just another treacherous woman out to swindle this hardened detective’s heart? 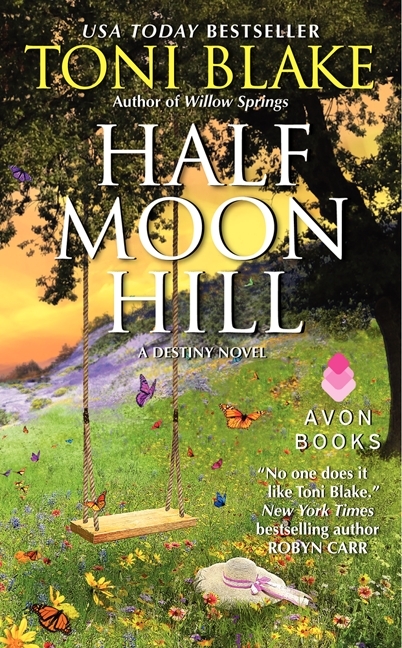 Running from a troubled past, Anna is building a new life in Destiny. When she first meets Duke, she's terrified-but something about him calls to her very soul. The hard-bodied rebel is soon helping her turn her new home into a bed and breakfast, and close quarters quickly lead them into her bed. Their passion is palpable, but can she convince a man who has turned his back on life to take the biggest leap of faith of all and fall in love? Heath Macnachtan is not superstitious. Laird of the most independent, nonconforming, madly infuriating clan ever to grace Scotland, he believes he has his hands full. And then a woman lauded as one of the most beautiful in England arrives on his doorstep with wild accusations and a mystical quest . . . one that just might help him discover who murdered his own brother. But the real danger for Heath and Margaret is not a supernatural foe, but a very real love that could destroy them both. When running is all you've ever known . . . Caught between fight and flight, Zoe Tamarin has always picked flight. Since she was rescued from a nightmare childhood by her great-aunt Pasha, they've been on the move, never staying in one place long enough to risk exposing their precarious past. But now that they've reached the sun-baked shores of Barefoot Bay, Zoe may have to stay and fight-for her aunt's life . . . and for a love she ran from years before. Oliver Bradbury came to Florida to start over, as both a doctor and a father to his eight-year-old son. He never expected life to hand him a second chance with the woman he lost years ago-but one look at Zoe Tamarin and he knows he'll do whatever it takes to prove that this time, he can be the man she needs. But when demands of family and friendship threaten to shatter their rekindled passion, Oliver must heal Zoe's lifelong wounds with more than hot kisses . . . but will that be enough to keep her from flying off with his heart? Defiantly bold and disarmingly beautiful, Lady Charlotte Lindsey will do anything to break free from her loathsome fiancé—even destroy her good name to do it. What better way to seal the deal than a tryst with Lord Tristan, who’s led many a girl to ruin? But when Charlotte looks into his eyes—and Tristan takes her in his arms—all of their schemes melt away...because the heart has a plan of its own. May is definitely shaping up to be a wonderful month for reading! I just added several novels to my Wish List. My list is growing and I am working hard to enjoy all of these “treats." The Goodman, Blake and St Clair books definitely. My wish list is loaded. I do a paperback swap exchange during Christmas and in the Spring for a Christmas in July , and it is going to be hard to decide which books to put on my wish list. You or any of your blog partners are welcome to join. (Not that you probably are in need of books - LOL - but the invite is there and would be happy to send you the info). It's going to be a wonderful Spring with all wonderful books being released in May! 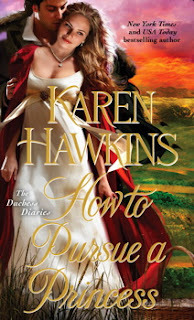 My first choices are the historicals but they all sound so good and have such lovely covers!! I couldn't agree more about the covers, catslady. They have come a long way over the years! I've read Half Moon Hill, but most of the others are on my TBB list. I'm particularly looking forward to Roxanne St. Claire's new Barefoot book and to a new one from Carla Kelley. I'm also eager to see if Beatriz Williams A Hundred Summers is as good as her debut Overseas. Please let us know if it is, Janga! 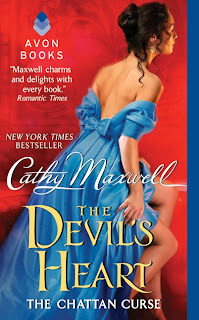 I can't wait for THE DEVIL'S HEART by Cathy Maxwell. I loved the first two books of this series and while I'm not looking forward to this series ending, I'm so looking forward to this book! I'm glad we were able to help grow your TBR list, Marcy! Oh my these looks like some great reads. Fabulous covers! I'm interested in checking out the new historical romances mentioned here by Clare, Hawkins and Maxwell--all writers I like! 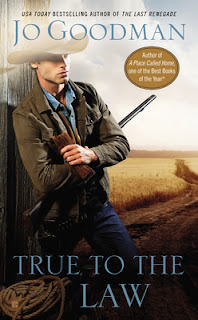 But I'm especially interested in the western romance by Goodman (True to the Law) as I've just become reunited with this genre and really like it...with the right author. So I'm anxious to try that one for sure! Thanks for the introduction of her work on this blog. They sound like wonderful reads. Great covers and some good books coming out. I love Roxanne StClair and definitely looking forward to that book and also the Toni Blake book. The others are new to me authors.